Here’s the list of Foreign Embassies and Consulates in Malaysia. No Malaysia visa requirements for U.S.A. citizens visiting for social, business or academic purposes (except for local employment). No Malaysia visa requirements for a stay not exceeding three months for citizens of Albania, Algeria, Argentina, Austria, Bahrain, Belgium, Brazil, Bosnia Herzegovina, Chile, Croatia, Cuba, Czech Republic, Denmark, Egypt, Finland, France, Germany, Hungary, Iceland, Italy, Japan, Jordan, Kyrgyzstan, Kuwait, Lebanon, Luxembourg, Norway, Oman, Peru, Poland, Qatar, Romania, Saudi Arabia, South Korea, Spain, Sweden, Slovakia, Tunisia, Turkey, U.A.E., Uruguay, and Yemen. Malaysia visa not required for a stay of not more than one month for citizens of all ASEAN countries, Hong Kong, Macau, British National Overseas and North Korea. For a stay exceeding one month, a Malaysia visa will be required, for citizens of Thailand, Laos, Vietnam, Myanmar, Indonesia, Cambodia and the Philippines. No Malaysia visa requirements for a stay not exceeding 14 days for citizens of Afghanistan, Iran, Iraq, Libya, Syria, Macau (travel permit) and Portugal Alien Passport. The citizens of Bangladesh, Bhutan, China, India, Nepal, Nigeria, Pakistan, Sri Lanka, Angola, Burkina Faso, Burundi, Cameroon, Cape Verde, Central African Republic, Chad, Comoros, Congo Republic, Cote D’Ivoire, Djibouti, Equatorial Guinea, Eritrea, Ethiopia, Guinea Republic, Guinea-Bissau, Liberia, Madagascar, Mali, Mauritania, Mozambique, Rwanda, Senegal, Western Sahara, Taiwan, Laisser Passer holders, Certificate of Identity Holders and Titre De Voyage must obtain a Malaysia visa before entry to Malaysia. Citizens of Israel and Yugoslavia are required to apply for Special Approval from the Ministry of Home Affairs before entering Malaysia. Citizens or nationals other than stated above do not require a visa for social/business visit for stay not exceeding one month. International Passport valid for at least 6 months. Proof of sufficient funds (including original and photocopy of most recent bank statement). Onward or return ticket or travel itinerary from travel agent. Compulsory yellow fever vaccination certificate for all visitors coming from infected areas as listed by World Health Organisation. Letter of introduction (and copy) from employer, college or university. You may still require a pass upon arrival, even if you are permitted to enter Malaysia visa free. Women who are at least six months pregnant (unless in transit) may be denied entry. All visitors must have proof of adequate funds and an onward or return sea or air ticket. Malaysia has special requirements for persons intending to visit for extended periods (usually more than 90 days) or those who plan to reside, work, study or engage in non-tourist activities. Do not enter Malaysia with a tourist Malaysia visa for non-tourist purposes. Violations may result in serious penalties. This â€œMalaysia VISA requirementsâ€ have been confirmed with local authorities and to the best of our knowledge are currently valid. But Malaysia VISA requirements are subjected to change, as it is the sole prerogative of the nation to determine who is allowed to enter. If in doubt, please contact the Malaysia embassy to check Malaysia visa requirements for your nationality. Remove your passport cover to facilitate immigration clearance. Do not carry stuffs for other people (especially strangers!). If the stuffs are or contain dutiable, controlled or prohibited items, you will be held responsible (Not the other party). Under the Malaysia law, the penalty for the illegal importation of controlled drugs such as heroin or morphine is DEATH. Under the Malaysia law, you will be required to open, unpack and pack your baggage when the immigration custom officer wishes to conduct an examination of your baggage. This is to give you full control over the entire proceeding such that you can determine the manner of the opening, unpacking and packing of your personal belongings. This would also prevent any unintentional damage to your baggage or belongings. My Friend is Work Permit Holder in Singapore holding Indian Passport. He wants to travel to Malaysia on a urgent trip and dont have time to apply for Malaysian VISA from Singapore. Can he get the VISA at the check point for 3 days. Please clarify. Hello R/sir! Dear sir i like to know about working/job visa of Malaysia from you,will you please send me some important informations about mention visa?and how much amount it’s required,air ticket and visa fee? Please sir send me complete information,and any jobs availiable there in capital(Kulu Lumpur)if you have any information about these jobs,so please inform me,i done 2nd year,reply me as soon as posible. I will wait for your this kindness! Visa-on-arrival will be given only to foreign nationals BANGLADESH, INDIA, PAKISTAN, SRI LANKA. TAIWAN, MYANMAR, NEPAL, BHUTAN, PR CHINA. who already have a visa to enter Singapore or Thailand. 1. The visa will be specifically for tourist purposes only and is valid for a duration period of 14 days. Extension of visa is NOT allowed. b) The Sultan Abu Bakar Complexs, Tanjung Kupang. I hold an Indian Passport. If I have Singapore Visa, do I require Visa to visit Malaysia for three days? Please can you confirm that the Visa-on-Arrival Facility is still continue..? Date of travel is 15th April 2008. I am an IT professional, 28 years old. I would like to visit Malaysia for several days (as tourist). I could not find the fee structure. is “”””Letter of introduction (and copy) from employer, college or university”””” necessary for tourist? or some other document? my husband is working in malasia,so i need dependent visa,so plese tell me what is the procedure, to get dependent visa. i don’t know anything about visa . I am studying in Singapore while holding a PRC passport, i want to apply visa to Malaysia upon arrivial, can i? A Taiwanese currently staying in Singapore. Would like to cross over the border to JB-> KL for a sight-seeing tour. Should apply for tourist visa or visa on arrival? Can I apply the visa at JB custom?? or should i do it at malaysia embassy in singapore? pls sir i want to find out how long it takes affter applying for a student visa malasian visa to be approved? I have applied for a job in Malaysia and have been informed that I was successful, but that I need to make the arrangements to get an Malaysian visa and work / residence permit. I have never done this before and havenâ€™t got much knowledge regarding this. Could you please be so kind as to assist me in this regard. We (my husband my son and myself)have planned to go to Malaysia on the 25th of May. But the problem is I can’t take my son’s passport out these days because of his L/O exam. Everyday he has to take it to the exam hall exam is finishing on the 23rd of May, then no time to obtain visas. 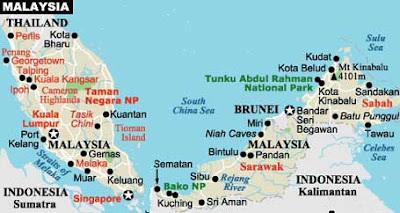 Sir im presently working in brunei .Can i go to Miri in malasia for 4 days as an tourist. Im an indian passport holder. we can help you get visa for you ! We (Me & My wife) way to srilanka from Bangladesh via Singapore. We are planning to visit Malaysia on 21 to 24/may/08.Can you pals advice us what are the requirement for on arrival visa??? (We will be travel by road). You an early reply will be highly appreciated. My friend previous company transfer a Singaporean from Spore head office as a General manager (GM) to incharges Msia branch company, but this GM using travel passport to come in Msia for working, he based in Msia branch company. As l knew, Spore head office had terminated him on this March’08, but he still working in Msia company until now, l suprise that he doesn’t have working permit how can he working in Msia more than 5 years, are he considered illegal worker? His salary suppose pay by Spore, after Spore HQ terminated him, his salary are pay by Msia branch, but the finance manager Msia doesn’t summit the GM salary to income tax Msia. Is that means this finance manager doesn’t follow the labour low, right? Hi, I’m currently visiting Singapore this month and wants to have a visit too in Malaysia and Indonesia before I go back in the Philippines. I have read that my country is one on the visa-free category for malaysian visa, will I have no problems on the immigration if ever I decide to go to malaysia by bus? I am currently in SIngapore and wants to go to malaysia for a day visit and come back to singapore to get my stuff before heading back to my home country. I have a return ticket from singapore to the Philippines and the necessary budget for the visit to malaysia. What do You think are the possibilities that I would be able to come to Malaysia and what are the possible problems that I can encounter in the immigration? and what are the necessary documents that I need?Thank you, Hope you could help me with my predicament. We’d like to get in touch with my wife’s relatives by phone if at all possible, but I can’t find any way of looking up phone numbers. Can you help? It’s been rather a long time since she left Malaysia and lost touch. Thanks. Could you also give me an idea about taxi prices in and around KL. Thanks again. A terrific website, full of straight info. Great. Good day! Am in the Philippines now and a Filipino wanted to travel Malaysia to visit my Fiance which is a Nigerian that currently studying in Malaysia now.Actually I have been traveling Malaysia 6 times already and this would be my 7 times of coming.I just wanna know if I can be able to enter Malaysia premises without any problem at immigration as I am 6 months and a week pregnant.With regards to my status and condition now if I can be able to enter Malaysia what are the required documents needed at the immigration.Thank you so much and I really appreciated your reply. I really need some guide and information, my post went unanswered and this seems the best place to ask and I’m hoping someone will give me some information. May you advise me how to do? how can i apply the visa ?